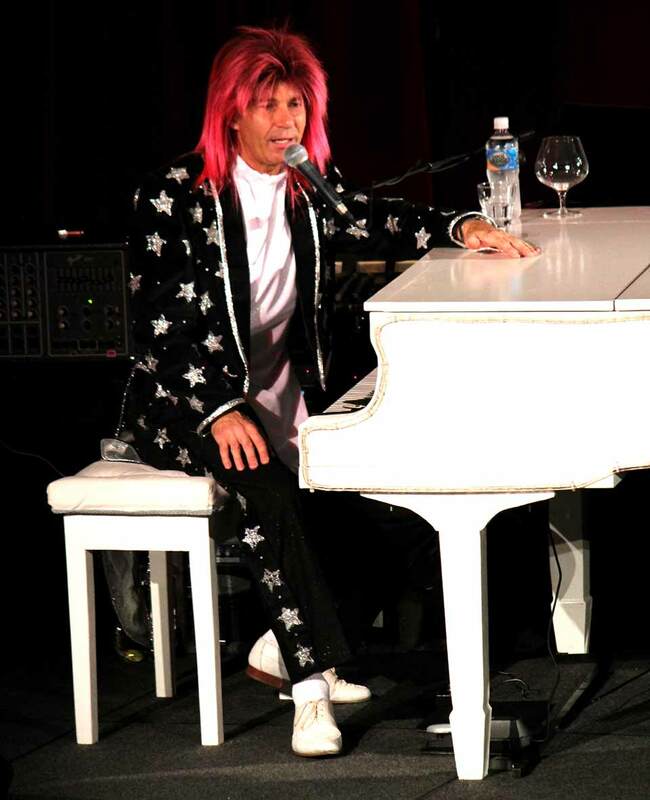 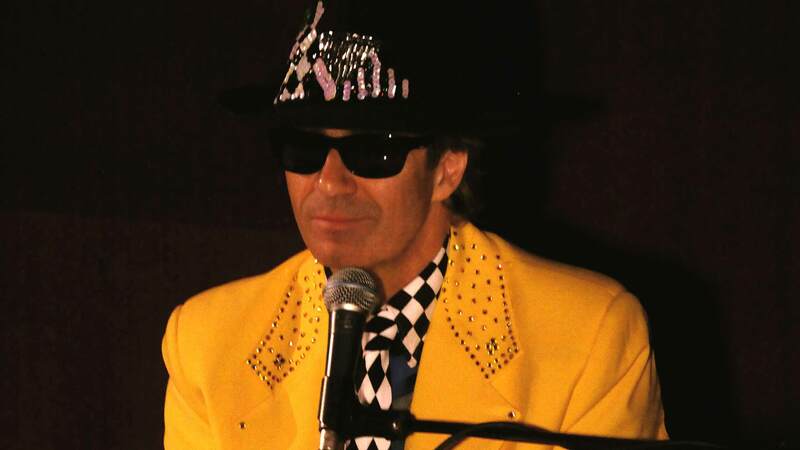 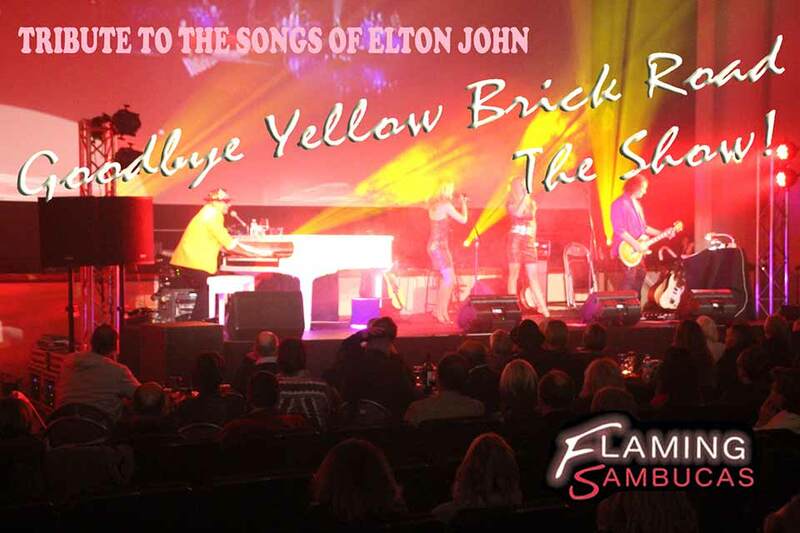 The Flaming Sambucas (extended band), with Terry Nicholas at the white grand piano, bring to life the timeless songs of Elton John and Bernie Taupin in this exciting, colourful show. 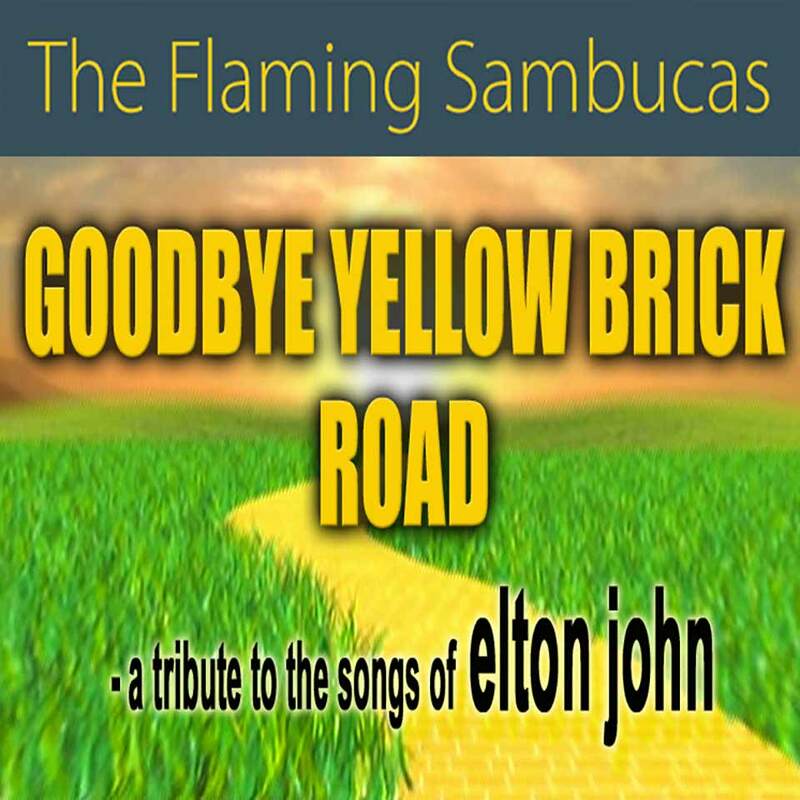 Classics such as Your Song, Candle in the Wind, Can You Feel The Love Tonight, Rocket Man and so many more will bring back the memories and fill your heart with joy. 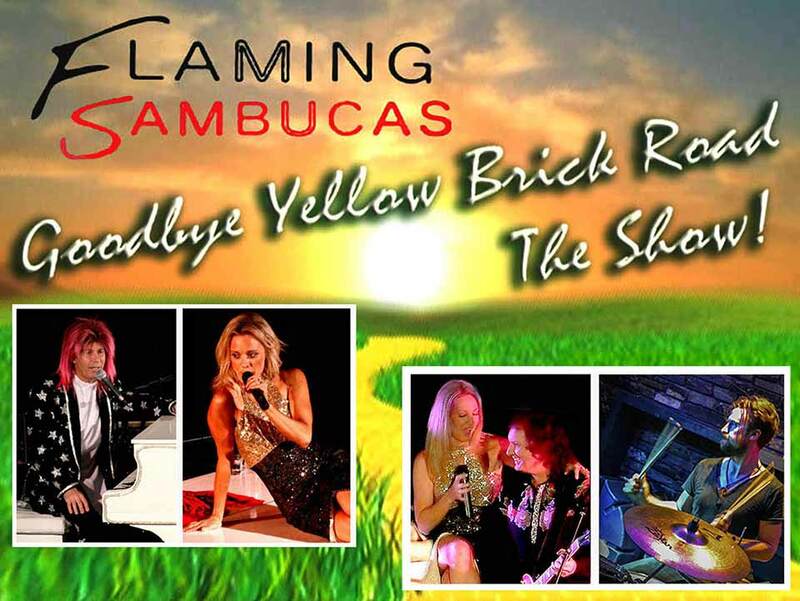 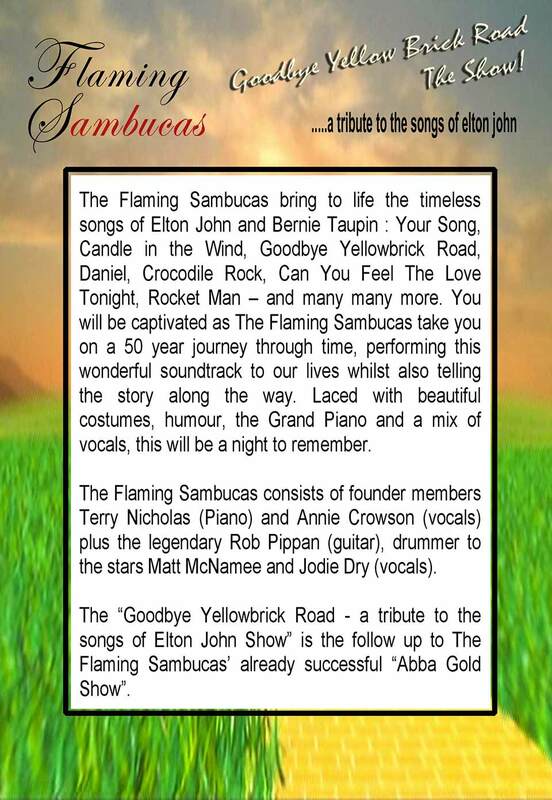 The Flaming Sambucas take a visual, musical journey back to the 1970s when one of the world's most formidable song-writing teams created Goodbye Yellow Brick Road, a double album that has sold more than 30-million copies worldwide. 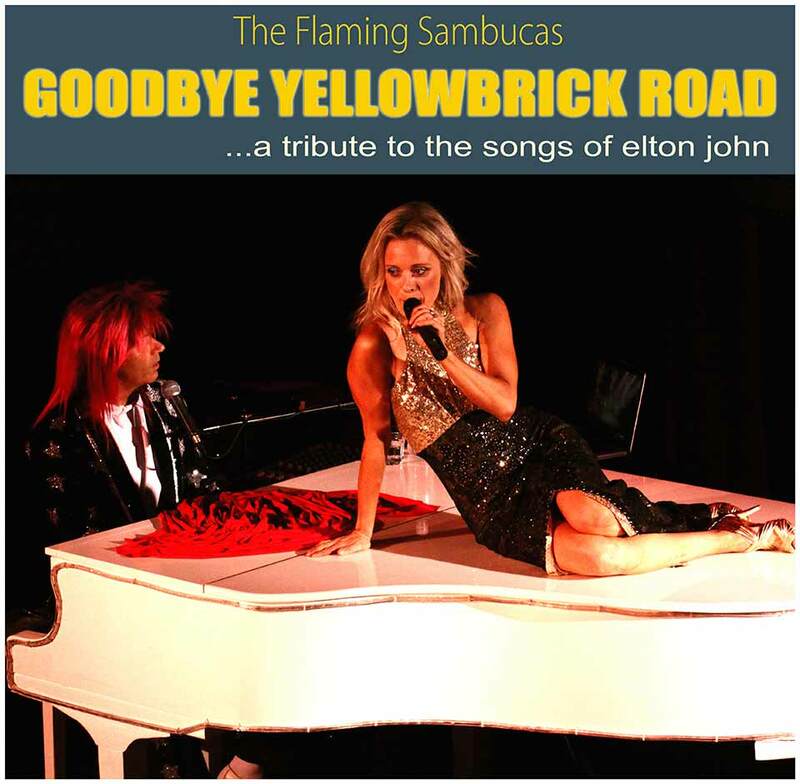 Re-live this golden era with vocals from Jodie Dry and Natalie Ermer Jensen, Matt McNamee on drums and the masterful Rob Pippan on guitar.